We are living in a time when it’s particularly hard to get a perspective on leading God’s people in a way Jesus would recognize. Thus, the importance of mentorship simply cannot be ignored. Jesus Himself did this throughout His ministry with His disciples. As we enter a new year, I’d like to take a few moments to share a resource I’ve been working on called Mentor Moments. These 3-5-minute video segments will cover a variety of important topics such as servant leadership, biblical mentoring and leaving spiritual legacies. Have any feedback? I’d love to hear from you! Guest post today from David Toth. Jesus uses himself as the example of one who serves by giving himself. There is no higher sacrifice than to give oneself. Therein lies the key to a biblical style of leadership and discipleship. One may have a fairly good handle on the competencies required but biblical servant leadership does not take place until the leader is giving himself/herself to others sacrificially, for the benefit of others and for the benefit of the mission. Taking the sacrificial attitude of Jesus Christ is an intensely personal and painful step. It is also the step to freedom and joy. Apart from two thousand and some years, there is little difference between the world’s expression of leadership then and now. Mostly, it flows from an organization, a position, a person, where authority and power are used to promote one’s personal and/or corporate agenda with no or little concern for how others are used or worse, abused. Even in faith communities (local churches and Para-church organizations) the situation is not very different. Leaders in these organizations view themselves as servant leaders mostly because they try to be nice but within controlled contexts and/or during allotted time slots and while using legalistic standards for accountability. Biblical sacrifice calls for one to “give his life” for the benefit of others. Quite frankly, this is a personal struggle. I enjoy using my marginal time for my personal pursuits. Using a portion of that time for others, a sacrificial portion that painfully detracts from pursuing personal pleasure, is not easy. 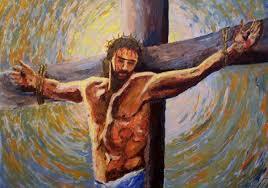 Jesus, known as the suffering servant, showed the way by giving himself for others. This is how the Gospel gets into the picture. The cross was the ultimate sacrifice of Jesus Christ, but it was neither surprising nor unexpected. He started out giving himself to others without regard for other pursuits, then his sacrificial attitude and lifestyle reached a crescendo at Calvary. As we engage in leadership development and discipleship, how is Jesus’ sacrificial attitude expressed in our lifestyle? Do we give ourselves sacrificially to others for their benefit? Do we find joy seeing others grow and go beyond us? When someone experiences true sacrificial leadership and/or disciple making, transformation takes place more quickly and deeply. And that brings great joy to us, to our disciples, and to the Father! In my business classes and textbooks, I hoped to encounter the model of truly effective leadership. I wanted something like a blueprint to manage and motivate people, and the business department of a university seemed to be the logical place to look. While my classes were stimulating, the foundational principle seemed quite similar to the one I applied every day on the hamburger line: A good leader is the guy who gets people to do what he wants done. Before I could make progress in my studies, however, President Richard Nixon sent me a personal letter inviting me to take a free physical. Rather than take my chances on being drafted, I decided to enroll in the Army’s Officer Candidate School. If I had to slog my way through the jungles of Vietnam, I at least wanted to be the one giving the orders. I suppose I would have continued full speed ahead, except for one thing. The reality of death was beginning to stare me in the face. I was training as an infantry officer, and I knew I could easily be carried out of the jungle feet first. I had buddies just like me–young, ambitious, and full of life–who had left for Vietnam and come home in flag-draped coffins. Their funerals broke through my ambition and stripped me of my idealistic illusions. What difference would it make to rise to the top if what awaited me was only the cold, gray question mark of death? I began reading the New Testament in search of answers. For as long as I can remember, I’ve been intrigued with the subject of leadership. Whatever the setting–Boy Scouts, school, the army, business, the church–I saw the leader as being the most influential person. He was the one who got things done as he climbed the ladder of power. 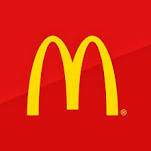 My first significant experience in leadership came courtesy of McDonald’s in 1966. Fresh out of high school, I worked as an assistant manager in one of Ray Kroc’s original restaurants in Southern California. I channeled all my energies into the task of being the best-up-and-coming manager. By day I helped manage a fast-paced business; at night I worked on a degree in business management. My understanding of leadership at that time could have been summarized by a straightforward, unadorned idea: You’re a leader when you’re in charge, when people work for you and you call the shots. This was the code I lived by every day. A leader was the person who made it all happen. This was the code I lived by every day. A leader was the person who made it all happen. He played the fiddle to which others danced. Being the leader was perhaps the best hedge I knew against my fear of leading an inconsequential life. I also developed a hard-nosed, aggressive style of motivating people, one that produced the most efficient results. In a business where quality, cleanliness, and speed are crucial, this style was rewarded and praised. I quickly became known as a manager who wouldn’t let an employee get away with much. If someone didn’t perform well, I let him or her go–as many as nine people in a single day! Somewhere in the back of my mind, though, I wondered whether there were better ways to influence people. So I turned to my studies all the more earnestly.